After being destroyed by terrorists this 2,000 year old monument rises again. Trafalgar Square is playing host to the 15ft high replica. 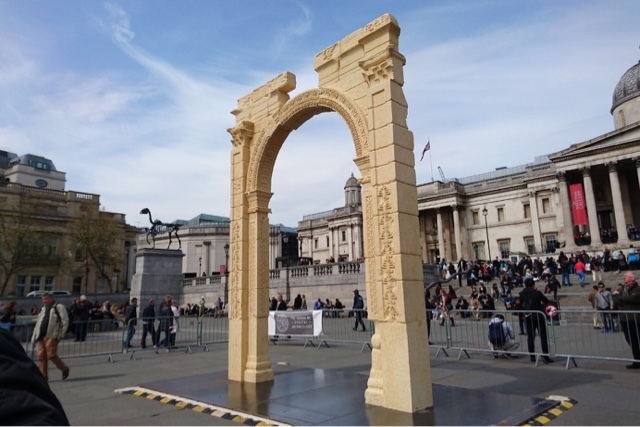 The arch has been carved, using 3D technology, from Carrara marble using photographs of the original arch. The arch is a two thirds scale replica and will be Trafalgar Square until 21st Aprill - moving on to New York and Dubai.